Social media reliance is so rampant in today’s landscape that it has come to drive some of our best and worst impulses and experiences. Outside of cyberbullying and poor treatment, there are much more serious implications—like when a community turns these platforms into a weapon to smear and systematically destroy the lives of others. It’s a form of weaponization that turns a relatively good-natured platform into something more sinister. But there are real-world implications for the improper and unethical use of social networks. Some recent examples include the backlash and subsequent firing of James Gunn for old jokes, the purported Russian interference during major U.S. elections, and the use of targeted fake news by domestic and foreign actors. Believe it or not, there are several ways in which social media can be used to sabotage, disenfranchise or misinform others. One common form is a wave of angry people — not necessarily even a majority — who mob together and form a community of outrage. The resulting noise can be filled with allegations, both true and false, that do considerable damage to a person’s career or health. Often referred to as “cyberbullying,” this comes with a particularly aggressive form of verbal abuse that can take its toll on a person’s mental and physical health, potentially even leading to suicide. Alarmingly, it also seems to be happening more often these days. To combat this phenomenon — which has cost lives in the U.S., India and elsewhere — WhatsApp has started adding a specific label to forwarded messages. Another pointed use for social media is to further the rapid spread of disinformation. This can be on purpose, with the intent to develop a particularly nasty rumor, or it can be born out of sheer ignorance. People sometimes believe what they’re sharing is true and important when, in fact, it is not. This was done in increasing numbers during the last major U.S. election by various sources. Finally, there’s a more direct form of weaponization where the networks are used on a grand scale to influence action. For example, the way in which Israel and Hamas have leveraged social media and public sentiment in their war against one another. Such dastardly uses of social media can have very real implications, both on society at large and on a more personal level. People can be wrongfully and willfully hung out to dry, have their careers damaged and sometimes even have their lives and their health threatened. In fact, this happens quite often when the mob mentality fires up and a community bands together to attack a particular target. 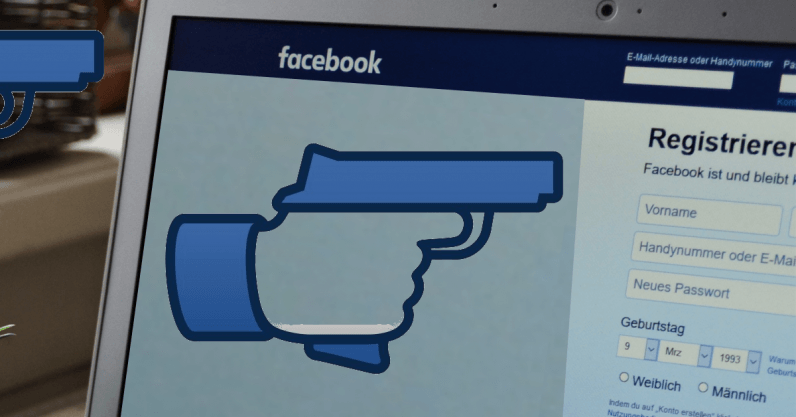 In the case of foreign influence on social media, damaging forms of propaganda can be lobbed into the social sphere with the intention to create dissent. Contrary to popular belief, the goal isn’t to swing politically more to the left or right. It’s merely to cause a significant disturbance, as much as possible, in any way that will manifest. It ranges from the more outlandish conspiracy theories to the more believable calls for James Comey to resign or George Soros to be arrested. One Russian bot even pushed the agenda that cops had increased their attacks on civilians, merely due to Colin Kaepernick’s protests. When shared in vast amounts and repeatedly, such disparaging views and ideas can spread lightning-fast whether they’re true or not. It falls to us, as individuals, to learn to weed out the true from the false. While this is certainly not the easiest thing to do, it is almost always possible with the right research. A good rule to follow is to always look for credible sources when reading information — and to actually check the provided sources. This is an incredibly simple thing to fake, at a glance, when you add a faux hyperlink or author. Don’t take what you read on social media as fact, especially if it’s shared by others or within a community and there’s no visible source. Memes, for instance, can serve as a common and recycled form of disinformation. As far as protecting yourself against mob mentality, the best thing to do is to keep your opinions and more sensitive dealings close to the chest. If something is, or could potentially be, divisive, then try to avoid talking on it altogether, especially publicly (and permanently) online. This includes not just social media but all online forums, instant messaging and chat apps and even text messages, since conversations can be screenshotted easily and saved for later. If you’ve already published such things, which may be the case with tweets and social posts, learn how to delete or remove the resulting data. It’s best to use tools for this, especially if you aim to delete the bulk of your tweets or posts. Sure, you could sort through your profile and delete things one by one, but that would take forever. Instead, you’d be better off using a tool like TweetDelete, which allows you to filter and delete up to 3,000 tweets at a time. If you have a particular attachment to your social data, you can always back up the archives. Just make sure you store it in a secure location. When all is said and done, the best thing we can do to protect ourselves in the age of disinformation and mob mentalities is to take an active approach to sourcing our own information. Don’t merely take what another user or even a friend says at face value. If you’re truly passionate, spend time doing a little research and fact-checking.